Discussions about disproportionality often focus on outcomes, but rarely, if ever, do we discuss the practices that lead to inequities. As a white educator who works with many other white educators, I would argue that our unwillingness to question practices lies in a fear of finding out the answers, answers which might require us to change deeply held personal beliefs and pedagogies that we have practiced and have likely benefitted us as we moved through our formal schooling. Indeed, many of the systems that have privileged us have necessarily subjugated those unlike us because we like and support, even implicitly, practices that support the cultural mythology that we’re “best.” These practices and pedagogies have become so central to our identities that changing them comes with great personal risk: interrupting the stories we tell ourselves about ourselves and, importantly, the stories we tell about those unlike us that allow us to retain our perceived identities. Going from not having to think about these uncomfortable truths to having to think about them raises the potential for white fragility: we need to sit with our defensiveness, and we need to consider what about grades and grading is making us feel that way and whether those feelings are worth the costs of disproportional practice. You can not be an impetus of radical change while remaining tethered to that which you wish to change. As a department chair, one of the challenging conversations I have with colleagues is about grading, not because grades mean anything or accurately communicate anything about student mastery of skills, line items for behavior compliance and extra credit have rendered the numbers and letters useless, but because of the stories that grades tell. Indeed, attaining good grades have become attendant with some sort of moral virtue, largely because grades are about aligning oneself, and in writing, their ideas and their voice, with the dominant culture. Many schools have difficulty honoring non-dominant literacies and valuing non-dominant funds of knowledge because they are a threat to our supremacy and the beginning of slippery slope. Powerful people fear losing the tools of their oppression. Indeed, grades help us create a system of reward and punishment designed to modify behavior toward our white, heteronormative, neurotypical beliefs and values. They help us stand guard at the gates of our space: ask yourself, for instance, who owns literacy and language in schools because of how we’ve graded and labeled reading and readers and writing and writers. Many of our gaps in achievement and opportunity are created by our unwillingness to confront our own practices. When related to grading, this means that we need to engage some uncomfortable truths about the way most of us our currently grading. 1. Grading is for teachers, not for students. In general, students aren’t involved in the grading process, which makes it mystifying; it’s something done to them rather than for them. Students don’t consent to what grades mean or how they’re tabulated. As teachers, then, we have all of the power, power which is easily weaponized to compel compliance with our norms: Asao B. Inoue asks us to consider the process by which we obtained our grades. If we think not just about what grades we received, but the things we had to do to receive them—perhaps bringing in Kleenex boxes (buying our way to a grade) or subjugating our own ideas and identities for agreement with an authority figure—we might not be that proud. Sebastaio Salgado argues, “we photograph with all of our ideology,” and that’s true of grading, too. For educators, grades are numerical manifestations of our beliefs and values that we project on to others, and if we’re not careful about interrogating our beliefs and values and the positionality we have to project them, we create problematic practices where we label, exclude, and limit based on congruence with our ethos. One of the stories we often tell ourselves as teachers is that we’re “fair” graders, but I would argue that, accepting the premise that fairness is the goal, it is impossible to be completely “fair” in our grading because of our implicit biases and personal assumptions, especially if we’re are in privileged subjectivities. A good first step toward moving to “ungrading” is letting your students self-report their grades. Before you engage in this process with your students, be sure that you’ve built substantive, trusting relationships with them because while you’re giving away some of your power, your presence as an authority in the conversation looms large. There’s a tendency for students to want to please the authority figure, and there’s a tendency to steer students to the outcomes that we want: both of these need to be avoided. This is only scratching the surface, but there’s some unlearning that needs to happen on both the teacher and student sides of this equation for self-reported grades to be substantive and not merely performative. Students have to trust that self-reported grades aren’t another manipulation tactic that will end up being used against them in the long run, and we have to trust that students are not trying to put one over on us. 2. Using a single standard to grade students is deeply inequitable. While a single standard may seem “fair,” they are actually anathema to notions of fairness. A single standard is unfair to many students, as single standards, by their very nature, are exclusive rather than inclusive, and to be “fair” means to reject systems and grading practices based on single standards. In many cases, our single standard is the product that gets produced, but there’s so much that often gets overlooked when we only focus on the end result. As Inoue writes, we can’t use a single-standard to simply define the quality of a student’s work, especially their writing, when could also look at the time and effort a student put in or the way in their process evolved. Inoue encourages us, rightly, at least in my view, to think about assessment ecologies rather than standards, and, importantly, he encourages our students to do the same, a task that’s made easier when we trust them and engage them in playing in active role in building the frameworks to which they’re beholden. Using a single standard—only looking at the quality of the finished product—also promotes competition for students to be the “best,” as we’ve defined it, which is often through white, heteronormative, neurotypical lenses. High levels of academic competition are toxic, and there’s no reason to reproduce what standardized testing and college admissions processes have wrought in our classrooms, especially when fulfilling requirements for grades requires that students leave much of themselves behind. 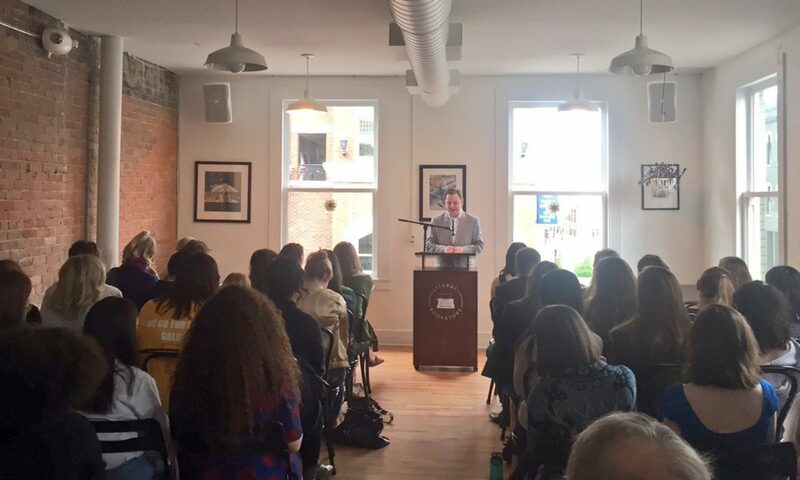 As my Writing Center tutor Carsten Finholt argued at the IWCA collaborative this month, every student deserves a safe entry point to literacy that values who they are and what they know, and grades based on a single standard aren’t it. A classroom graded on a single standard that pits students against one another for scores isn’t culturally responsive. An important note: not having a single standard doesn’t mean that there are no standards. It means that instead of competing to be just like us, our students are working for themselves and their own improvement. Here, they create their own standards based on their own goals. If we don’t think students are capable of creating their own standards and their own goals based on what they need, we need to engage in some hard thinking about those believes based on our own racial and cultural perceptions of who can do what work and who can be responsible for shaping the learning environment and ecology for their own purposes. A commitment to equity means working toward abolishing grades, even if that means that many of us may lose a source of our power and part of our privileged identities. The risks of changing our interpretive stories are far less than the risks of continuing grading for another generation of students who will be labeled and defined forever by the letters and numbers we enter in a learning management system. One of the most frequent conversations I’ve had this year as department chair has been about students who don’t do the assigned readings for class. When folks initiate these conversations, they tend to do so for commiserative or palliative reasons, meaning they either want a knowing nod or pedagogical reassurance. As a leader, one of the goals I have for the new year is to steer these conversations into a more reflective direction that allow individual teachers and my department as a whole to consider substantive reasons for why students might not be reading what we assign that moves beyond “kids these days” and to think about alternatives in pedagogy and practice that might increase reading participation without resorting to compliance-based methods that lead to performative reading in school and, worse yet, disengage students from the thought of readerly lives outside of school. The benefits of choice reading for students are well-documented. I’ve written about how reading has been, in a way, recuperated from the doldrums of school. However, there are sociopolitical realities for teachers in schools that often makes a choice-centered classroom a difficult proposition. I worked in a district that mandated whole-class texts and required every teacher to be on the same page as their colleagues on the same day. Not being on schedule was cause for at least a talking to by someone with authority. Even choice reading, when it was allowed in one unit, featured lists of vetted books that were at the “correct” level. In addition, while choice reading can be a really great tool for engagement, not every school—let alone every teacher—has the resources for a robust library and might rely on whole-class texts provided to them. If we’re assigning whole-class texts, then it’s important to realize that our reading might not be a priority on a given day. Students are in several classes with competing deadlines and they have pressing interests and necessities outside of school that need to be taken into account. It’s here where I’ve seen teachers shame students, often passive aggressively, by finding ways to exclude them from participating in class, engaging with their peers, or reducing their grade through fact-based quizzes or reading logs, and it’s here where I think we can consider alternatives, namely making assigned readings part of a recursive, integrated learning process and finding ways to allow students who may not have gotten to the reading to meaningfully participate. This comes from a foundational belief that students want to learn and that, if they’re present, they should be able to come away with abundance rather than scarcity. Students are very honest with me about their reading lives, and I appreciate their candor: they tell me when they didn’t have time to read, they let me know when they didn’t understand something, and they’re quick to tell me when they took what they needed and left what they didn’t in one of our whole-group texts (and, sometimes, what they needed was to not read). Their openness creates room for dialogue about their readerly lives and why and how we make these sorts of choices, which is always interesting and never punitive. We need to trust our students to shape the learning environment and process in a way that works for them, even when we’re assigning whole-class texts. Most often students read—or go back and read—because they know our learning is moving somewhere; it’s not a parade of texts for the sake of saying we read, but something connected to larger ideas and concepts. Students also know that concepts are recursive, so while reading is important and encouraged, missing a single text or not reading every word of every page isn’t going to “cost” you. Again, it’s important to focus on the abundant knowledge that students have and the skills they bring to the classroom rather than focusing on what they can’t do yet or wouldn’t do today. One of the best ways to create abundance during whole-class texts is to make your classroom passage-based. A passage-based classroom allows students to engage with key aspects of a text in ways that are both low-stakes and personally relevant. Indeed, one of the keys to using smaller blocks of text to call on key themes and ideas in a passage-based classroom is to avoid asking convergent questions; these make any discussion or activity feel like a guessing game or like a compliance quiz masquerading as genuine engagement. In my Humanities class, we work with non-fiction texts frequently, and I like to start out by asking small groups of students to think about two claims the author is making and why the think the author is writing the piece and to select at least one piece of evidence from the text that engages these ideas. This works as a getting started strategy because it allows students—and me—to get some foundational understandings of the text while charting a path for the day’s discussion. Here, students reengage the text: students who have read the text and have comfort with it push the boundaries out, often thinking about alternative meanings for the texts, students who read and don’t feel comfortable have a chance to sound themselves out with peers, and students who may not have read or read very little get a chance to skim the text and get oriented to some of its structures and major points in a low-stakes way that might encourage them to revisit what they missed. This can generally branch into other work like passage-based turn and talks, chalk-talk assignments where students have an opportunity to make written interpretations using their thinking and have other students agree, disagree, problematize, or connect their thinking in writing, or passage-based philosophical chairs activity that asks students to move based on their agreement, disagreement, or desire to problematize the passage. In each of these examples, the key is that students are not interested in being right or proving their devotion to a reading calendar, but they are making meaning together and thinking through key ideas in a way that’s inclusive and makes them want to engage the text more fully later. I believe in my core that students don’t enjoy coming to class feeling inadequate and unprepared. My goal is never to shame these students, but to invite them back into the process to ensure that they feel like going to back and reading is relevant and useful. If a student is in your room, they want to learn, and we need to make space for everyone, whether they had a chance to read that day or not. I’ve written before that writing centers, particularly in secondary schools, tend to be difficult to quantify, as they don’t look at all like traditional learning environments: there’s no teacher delivering a lesson in front of a whiteboard or a screen, the “lesson plan,” which never involves worksheets, varies from day-to-day depending on the institutional ecology in which the writing center is situated, and, most of all, students have agency to determine how they will use their time and the space in any given context. In trust-poor industrial educational models, which tend to rely on Foucauldian surveillance and student self-regulation, students learn to cede their autonomy to an authority in a social negotiation that earns them rewards, including, often, being left alone by hovering adults, which was one of my goals as a high school student. Honestly I wish there was a little better one on one communication between the leaders or “teacher” of writing center and tutors, recently I’m not as sure what the expectation is of what we’re supposed to do when there are no students. Given that I’m often teaching while students are tutoring, tutors are forced to navigate the Writing Center’s learning environment on their own; tutors need to project a world rather than wait for one to projected for them. We have instituted a detailed syllabus, a tiered peer-to-peer mentoring system, weekly reflections, and “circle time” based in the principles of restorative practices to mitigate some of our tutors’ disorientation, getting tutors to seize their agency really requires making some of the invisible rules, guidelines, and norms visible and sustained, intentional social-emotional confidence building. Indeed, Cochrane writers, “If educators want to take education beyond simply rebelling against a centralized past, the challenge then comes in helping learners realize the need for the ability to construe their own environment, and then helping learners acquire these skills.” In a dialogue hosted by the Eastern Michigan University Office of Campus and Community Writing and 826michigan earlier this month, a few Skyline tutors were able to engage in an interesting dialogue with other tutors about what it means to be a student-led, student-centered space and what their responsibilities are in that environment. This year, our tutor-leaders have taken on the responsibility of further creating a student-led, student-centered space, but helping other tutors acquire the skills to make and remake their space in the next step in a slow process to undo the very real behavioral modifications of centralized education, as evidenced by the portion of the tutor reflection shared above. In teacher-centered spaces, all relationships are in the context of the adult; peer-to-peer relationships, to the extent they exist, are often performative: a teacher asks a question, a student responds, the teacher responds to the student before calling on someone else who responds back to the teacher. This looks interactive, but, really, the teacher retains the locus of control by not letting the conversation organically develop among students. Developing meaningful, authentic peer-to-peer relationships is one of the biggest challenges in student-centered spaces, and it can be a significant part of the anomie I discussed earlier, as there isn’t an authority figure ever-present to mitigate and manage. Indeed, new tutors often struggle with the balance between the personal, making the learning space relevant to them, and the communal, working toward a shared goal within a shared values framework. Cochrane writes, “The division between personal and community clarifies the decisions learners face between working towards their own learning goals and working under community standards towards a common goal—cooperation and collaboration, respectively.” In some sense, it’s easy for students to embrace the idea of the freedom of student-centered spaces, but it’s far more difficult to imbue them with a sense that there remains a learning community with shared values and expectations. Teaching students how to be and the importance of being reflective practitioners to improve their own practice and improve our tutoring community is a good example of this challenge. Tutors need to “self-coach” for their own benefit, but for the benefit of the writing center, but they aren’t often asked to this kind of work in other spaces. In a secondary school writing center, my role isn’t to back out completely, but, instead, to find ways to help build the frameworks and structures that can support a blend of personal autonomy with collective responsibility to meet the needs of our program and our school, especially since our goal to help close achievement and opportunity gaps are urgent and vital. Getting students to embrace personal autonomy while building a communal ethos is an imperfect, bumpy process, but it starts with us, as authority figures, putting trust in students to make important decisions, and it continues with us encouraging students to trust one another as they work to solve problems and achieve common ends, even when the conditions aren’t perfect or everything doesn’t go according to our best laid plans. As a leader and a coach, this has also meant ensuring that my tutor leaders take the long view, which can be difficult because the “life cycle” of tutors in our institution is only one or two years. One of the ways I encourage the long view is by reminding them that our mission and our vision exist already; we don’t have to reinvent fire each time we need to light the way. At our core, we know what we believe in, and we know why we believe in it—we’ve had the conversations, we’ve done the research, and we’ve aligned each belief to action-oriented values. How students navigate writing center—and what their social, emotional, personal, and academic outcomes are—will certainly vary based on any number of complex factors, but, ultimately, it is incumbent upon tutors to draw a map, explore, revise the map, and explore again. Like Cochrane writes, “The process of acting as your own center of learning demands assembly and maintenance— the onus is on the learner to create an ecology.” Getting students to believe that we want them to do this work, that they can do this work, and that they don’t need to do this work alone represent the significant work of educators and leaders in student-led, student-centered spaces; trying, failing, and trying again are the significant work of students in student-led, student-centered spaces. For both parties, this means working against entrenched systems of control and surveillance that have modified behavior toward compliance with punishment and reward. This is hard work, but it’s the right work. So, maybe it’s not so crazy that I feel that there is something extraordinary in the internment of Matthew Shepard’s ashes in the National Cathedral. As much as I’d like to believe otherwise, it’s not a sign of the times. Indeed, the dominant narrative—“look at how far we’ve come”—seems to be more aspirational than an actual statement of fact. Recent reports from GLESN show the continued inability (and sometimes unwillingness) of schools to adequately meet the safety, curricular, and learning needs of LGBTQ students. Indeed, progress toward safer schools has slowed, as students reporting incidents of verbal harassment from classmates and school staff has increased while positive representations of LGBTQ folks in school curriculums have decreased. When marginalized students are unable to see themselves in the curriculum, they begin to feel insecure and unsafe in our school and classrooms, which leads to achievement and opportunity gaps, truancy, and increased rates of bullying and school violence for LGBTQ students. While the merits of being a “data-informed” educator are clear and routinely preached as virtuous by our field’s thought leaders, I’ve heard endless excuses from colleagues for ignoring the blatant inequities for LGBTQ students in our schools—“the standards don’t allow me to add anything” (LGBTQ folks have provided contributions in every conceivable subject area, allowing you to be inclusive) or “we don’t have the resources” (use online resources to supplement those provided by your district) or “it doesn’t fit into our larger equity work” (we can and must serve our multiple equity needs simultaneously)—and these are immoral derelictions of our duties as public educators to teach everyone in our classrooms. The large-scale unwillingness to make LGBTQ folks and their histories visible in every classroom is erasure—an act of ordinary violence—that’s far too common to be considered extraordinary. In my Humanities course, we spend sustained time on learning about LGBTQ people and their histories, and, each year, there is pushback from even the most progressive students, parents, and colleagues who are disquieted and discomforted with the representations of queer and trans people in the course. Underlying the comments and criticisms in a hushed disgust, as if what’s been displayed in somehow vulgar or illicit, which couldn’t be further from the truth. Indeed, we spend time studying the origins of queer theory using some of Meg-John Barker and Julia Scheele’s Queer: A Graphic History and thinking about how language can be changed to move away from binary oppositions before watching Paris is Burning and exploring the intersections of race, gender, class, and social geography. In a survey of my classes, only three students said they encountered any direct discussions about LGBTQ people or their identities prior to Humanities, and none of those representations were of queer or trans people of color. When the curriculum has been centered on you—valuing you, seeing you, and honoring your funds of knowledge—it can be a difficult, decentering experience to not see yourself at the center and have to confront certain parts of your own social identity, which I believe accounts for a great deal of the pushback. It might be hard to understand why you would care about those who are on the margins when you’re at the center, especially if you’re not regularly asked to do so. Unfortunately, I’m not alone in experiencing pushback and discomfort: in a Harris poll conducted earlier this year, 37 percent of people said they would feel uncomfortable knowing that their child received curriculum about LGBTQ histories and identities, and those are only those who admitted that they would be uncomfortable to a pollster. While many might argue that the Humanities curriculum is too much too soon, I’d argue that we don’t have time to waste, especially given the dearth of LGBTQ-inclusive instruction prior to Humanities. While the sins of omission on course syllabi and reading lists aren’t new and efforts to disrupt some canonical power is ongoing, it seems like there’s a kind of measured reticence to upending the straight, cisgender canon. Many students, however, embrace the challenge of confronting their own identities, understanding the political implications and power of their gaze, and working to develop oppositional ways of looking at media that work against the dominant culture’s ways of seeing. Students are asked to take a scene or a stillshot from Jennie Livingston’s Paris is Burning in order to analyze it using our class texts and their lived experience as a basis for unpacking it, and the results were tremendous. Students could do written work, or they could produce videos. In both cases, students needed to make imaginative connections between theory and practice, History and history, and themselves and someone potentially unlike them that they’ve never met, something David Levi Strauss calls an “epiphany of the other.” For all of the disquiet and discomfort, these students were able to interrogate their positionality, challenge their subjectivity, and exhibit the highest imaginable level of social-emotional intelligence and critical thought. This felt disruptive to ordinary violence; their work was extraordinary and transformative. Those who spoke at the interment of Matthew Shepard’s ashes frequently spoke about the way violence is normalized in LGBTQ communities; it’s part of the identity. Existing outside the dominant culture means preparing to be targeted by those who see your very existence as a mortal threat to their social order and its attendant power. Matthew Shepard’s dad spoke at the interment, saying: ““It is so important we now have a home for Matt…a home that is safe from haters.” Imagine if we could make school a place where our LGBTQ students—yes, our students—could see themselves, know themselves, and have their classmates know them beyond negative stereotypes, representations, and half-hearted inclusions into the curriculum. Imagine if every teacher in every subject found ways to represent the rich, diverse histories and identities of LGBTQ folks in their curriculum. Imagine if a school could be a home that’s safe from the haters. On Friday, October 19, 2018, my tutors from the Skyline Writing Center traveled to the Sweetland Center for Writing at the University of Michigan to celebrate the National Day on Writing with Christine Modey’s tutors. The National Day on Writing, sponsored annually by NCTE, is a time to remember the reasons that we’ve been compelled to pick up a pen, open a computer, and share our thoughts. I wrote in a recent post that while reading has been rescued from the doldrums of compliance by a committed group a big names in the field, like Penny Kittle and Kelly Gallagher, writing has yet to undergo the same transformation in our schools, as students still mainly write for internal audiences, for standardized testing and college admissions ends, and for grades. There’s very little to fire the imagination or stoke passion, and, by the end of high school, writing can even be something dreaded, particularly if the institutional ecology isn’t equipped to or compelled to raise student voices in any substantive way. The student choice movement in reading is having huge impacts on students in my classroom and classrooms around the country: twitter chats are springing up about choice reading, teachers are sharing their successes daily on social media, and studies are being done to provide additional support for schools, administrators, teachers, and parents that are reluctant to embrace the power of getting students paired with the right book. This is exceptional work, as building students’ literacy skills is the key to building equity in our schools and districts, but we often leave writing out of this vital discussion. Getting students to reconnect with writing as fun–as a legitimate way to share feelings, expand thoughts, and create change–can have huge impacts on our goals to close achievement gaps by raising and amplifying student voices. We can change the institutional ecologies around writing, slowly, but surely, and recuperate writing from its position as the thing you have to do rather than the thing you choose to do. Practicing writing in volume–in all of the disciplines–is a great way to help students get better, particularly if they can see the impact of their words. The opening “icebreaker” sessions were designed to get students thinking critically, working collaboratively, and engaging creatively with writing and with one another. Students rotated through three stations: a station where students completed the phrase “I write because…” on paper circles that would be displayed in our Writing Center and shared their responses with their group, a station where students completed an “Exquisite Corpse” activity that encouraged students to play with language, and a game where objects were tossed around a circle in a pattern to model the many academic, social, and emotional demands of peer tutoring and the importance of teamwork and communication in an often-stressful environment. This year, the Skyline Writing Center welcomed 30 new tutors, our largest number since we opened, and with limited time during the school day for community building, having genuine opportunities for students to connect, build trust, and share vulnerability in a contextually meaningful way was vital for the social-emotional growth of our tutors and the edification of tutor-to-tutor relationships foundational to our continued success. The next part of the day would center on getting students to consider how they can use their voices as everyday advocates for educational equity at Skyline, in the Ann Arbor Public Schools, in our region, and even as part of large national networks. Students were able to write letters to local, regional, and national officials suggesting reforms to elements of their school or schools more generally that need to be shifted so that all students have equal opportunities to achieve, students could make videos about times when they saw writing make a social change, and they were able to create art that will be displayed in our Writing Center to help other students see the importance of literacy and writing, especially as we try to narrow persistent achievement gaps. Edifying trust and sharing vulnerability earlier in the day with our “icebreakers” was vital, as students worked in small groups to share ideas about writing and social change, which required them to be open about their beliefs, values, triumphs, and tribulations and to listen to and be empathetic to experiences potentially far different from their own. Our Writing Center, which contains multitudes of diversity, requires students to engage with one another on socially cellular levels to have “epiphanies of other,” which activities like this encourage. Our final activity of the day was an ekphrastic writing competition at the University of Michigan Museum of Art (UMMA), which opened early to accommodate our group. Ekphrastic writing has been shown to be instructive for students learning to be empathetic, which was part of our day’s intent. Tutors had the run of the Modern Contemporary gallery, and were given about 20 minutes to compose a poem based on a piece of art they select. Students were put in groups to select one poem to move to the final round, which was judged by Raymond McDaniel, the world-famous poet. Students not only had to take perspectives when telling stories based on the art, but they were treated to the perspectives of other students, compelling them to engage in stories and experiences that aren’t their own. This was an exciting creative experience for students–it was fun, public, and sharable–and it was an important lesson in the importance of stories to our fundamental humanity.